But DP World, the world’s third-largest container terminal operator, continued to manage the Djibouti terminal through the court and arbitration proceedings in the absence of any legal decision to stop their operations. The government had described various agreements between Mr Boreh and DP World, which built the terminal in 2000, as ‘impugned transactions’, but the tribunal ruled that none of them constituted a bribe. ‘Mr Boreh did not at any stage breach his duty of probity to Djibouti,’ the tribunal said, according to a copy of the judgment seen by the Financial Times. Mr Boreh, who has lived in exile since 2008, has rejected the allegations as politically-motivated attacks by President Ismail Omar Guelleh, whose family have controlled Djibouti since independence in 1977. A London commercial court in March last year rejected civil claims brought by the government against Mr Boreh in relation to his dealings with DP World. The government’s case was damaged when it emerged that the court had been misled by some of its evidence that was incorrectly dated. Djibouti, strategically positioned on the Horn of Africa, has become a commercial entrepot and a major military outpost. China is building its first overseas base in Doraleh. The US’s largest African military base, Camp Lemonnier, is located near the international airport. France also has a large base there. The country’s ports have also become important transshipment points, acting as the entry point for imports into Ethiopia. As in many African states, China has become an important investment partner, funding infrastructure in the country, including the improvement of Djibouti’s original port. State-owned China Merchants Group has a stake in the Djibouti company that controls DP World’s container terminal. DUBAI, UNITED ARAB EMIRATES: Dubai’s government says an arbitration tribunal has cleared port operator DP World of allegations of wrongdoing over its operation of an East African port. 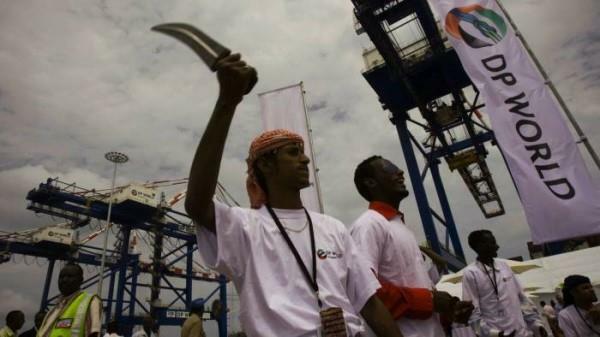 The government of Djibouti brought a legal challenge against Dubai’s state-backed DP World in 2014 over its 50-year deal to operate the Doraleh Container Terminal, accusing it of bribing the head of Djibouti’s port authority. Dubai’s government media office said Tuesday the panel operating under London Court of International Arbitration rules fully exonerated DP World, dismissing Djibouti’s claims and ordering it to pay arbitration and other costs. A commercial court in London last year cleared port authority head Abdourahman Boreh of misconduct. DP World is one of the world’s biggest seaport operators. It launched the Doraleh project in 2009.